Natural History is the kind of science that isn’t very fashionable these days. Natural History consists of making observations about how Nature normally works. What kinds of animals and plants exist? How can we categorize them and what do these resulting categories tell us about the world we live in? Rather than doing experiments in a laboratory, naturalists observe how things work in their normal environment. Prior to the arrival of modern experimental science in the 17th century, Natural History was the main way in which we came to understand the world we live in. Aristotle, Pliny and Dioscorides, great scientists of the ancient world, wrote many volumes describing the Natural History of our planet and their interpretations of what this meant. Nowadays, this type of approach has been generally superseded by experimental science. The ability to take a mouse or a fly and experimentally manipulate all of its genes with a view to testing a hypothesis certainly has its attractions and one can see why. One has control over the entire process. Nothing is left to chance.Nevertheless, such experiments have the disadvantage of moving observations into the laboratory and far away from the natural order of things. And so perhaps it is not all that surprising that experimental drugs that cure diseases in genetically modified mice, usually don’t work when given to human beings going about their daily business . Careful observations of the natural world can lead to the discovery of important medical breakthroughs. One only has to think of the recent Nobel Prize awarded to Tu Youyou for discovering artemisinin, the world’s most powerful antimalarial drug, following her perusal of ancient Chinese texts on the healing properties of plants, in this case Artemesia annua -the sweet wormwood. In modern times, Natural History really came into its own in the 18th century with the work of people like Gilbert White. White was a member of the class of wealthy gentlemen living in the countries of Northern Europe who owned large estates. These men had money and time at their disposal allowing them to make detailed observations of the world around them. In 1758 Gilbert White moved into his family home at The Wakes in the Hampshire village of Selborne. He became the curate of Selborne church and remained living in the village, a bachelor, until his death in 1793. During this time he wrote what is considered to be one of the classics of Natural History- ‘The Natural History and Antiquities of Selborne’, which consists of a long series of letters written to other gentleman naturalists concerning his observations of the flora and fauna in his local area. He wrote fondly, and to great effect, about the animals that surrounded his property. Moreover, he certainly considered numerous scientific issues such as the question of why different types of birds disappeared in the winter? Were they just hiding or were they migrating to other places? White’s observations provided data which could be used to answer such questions. With this in mind I recently read a book which is very much in White’s tradition entitled “The Secret Life of Cows” by Rosamund Young. Mrs. Young is the proprietor of Kite’s Nest farm in Worcestershire. The farm is home to a large number of cows, sheep, pigs and chickens who are allowed to lead as close to a natural life as possible. Mrs. Young has observed these animals over a period of some 30 years and has noted many interesting aspects of their behavior. How they make friends, look after their young, have their own particular likes and dislikes and so on. One observation she makes interested me in particular. Apparently cows do not usually eat willow leaves. However, if they are injured they will then eat as much willow as you can give them, until they are healed, when once again they will stop doing this and return to their normal diet. 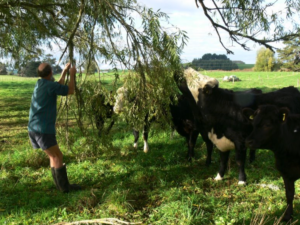 As a naturalist might well conclude, there must be something associated with willow leaves that is helpful to cows when they are sick. And of course that is certainly true. In fact, the medical properties of the willow and a number of other plants such as myrtle, poplar and meadowsweet ,all of which produce similar effects, is nothing new. The Egyptians used willow leaves as a topical poultice for treating fever and swelling. The Ebers papyrus (a collection of Egyptian medicinal recipes dating back to the third millennium BC) describes an infusion of dried myrtle leaves for easing the pain of rheumatism and for back problems. Other ancient texts by the Babylonians, Assyrians and Chinese also describe the medical uses of willow bark and leaves . Hippocrates hailed the willow’s antipyretic (fever reducing) and analgesic properties and recommended its use for relieving pain during childbirth. However, after the fall of the Roman Empire, the pursuit of science went into a sharp decline for over 1000 years and the effects of willow faded into folk memory. It wasn’t until the 18th century when people like Gilbert White were active,that the subject became of real scientific interest once again. By the 18th century people in Europe were well acquainted with the effects of what was known as Jesuit’s bark, the bark of the Cinchona tree found in various parts of the Amazonian forests, as a cure for “agues”, the common name for what we now know as malaria. This important cure, one of the first modern drugs, had been discovered by the Jesuits working in Peru as early as the late 16th century. Soon after its discovery ,the bark was transported to Europe where it began to be widely used with great success for the treatment of malaria. The taste of the bark was extremely bitter and purified quinine,its active ingredient, is also very bitter. This initially gave rise to the idea of mixing it with various other things such as different types of alcohol to disguise its taste, something that eventually gave rise to quinine water or what we now know as “tonic water”. In 1763, an English vicar, Rev. Edmund Stone had the idea that ,because willows grew on swampy ground, they might also be able to treat swamp derived “agues”. Using the analogy of the Jesuit’s bark he tasted the bark of the willow, found it to be similarly bitter, and decided to further investigate its use as a medicine. Stone prepared dried willow bark and administered it every four hours to 50 patients suffering from agues. The results were extremely encouraging. His results were reported to the Royal Society of London as follows. been long and feverely afflicted’. In 1792, Samuel James repeated Stone’s experiments using a willow-bark extract and also found that it had strong beneficial effects. He provided detailed notes about his work, enabling subsequent researchers to follow exactly what he had done, each one confirming the beneficial effects of the extracts. Because of this research, people began using willow extracts for treating all sorts of “agues”, many of which, in reality, were not due to malaria but presumably to the effects of other infectious diseases that might produce fevers. Moreover, willow bark was certainly much cheaper to obtain than Jesuit’s bark or purified quinine, something that also encouraged its general use. Of course, all of this raised the question as to what was actually in the bark that was responsible for producing its effects? If it wasn’t quinine what was it? The active ingredient in willow bark was first prepared in 1828 when Johann Buchner refined the bark producing yellow crystals which he name salicin after Salix, the genus of the willow tree. In 1829, the process was further refined by Pierre-Joseph Leroux in France and taken a step further in 1838 when Raffaele Piria produced a more potent compound from the crystals isolated from willow bark, which he named salicylic acid. As it turns out salicin is actually a “prodrug” which can be broken down to yield salicylic acid as one of its products and it is the salicylic acid that is responsible for the pharmacological effects observed. Salicin is a naturally occurring glycoside of salicyl alcohol which ,after hydrolysis and oxidation, produces salicylic acid. Indeed, the molecule is not a particularly complicated one and even at this early stage in the development of organic chemistry salicylic acid was chemically synthesized in the laboratory in 1860 by the carboxylation of sodium phenoxide. In 1876 Thomas John MacLagan, a physician from Dundee, Scotland, demonstrated that salicylic acid had antipyretic, analgesic and anti-inflammatory properties in a group of human patients. Subsequently, salicylic acid became more and more commonly used by members of the general public to treat the common symptoms of fever, pain and inflammation. This wide usage yielded increasing amounts of information about the properties of the drug when used by a large group of human subjects. As it turned out, although it was clear that salicylic acid had many benefits, it also had some significant problems. The major problem was that it was hard on the stomach and people who took it regularly complained of gastric problems, particularly if they had to take it for extended periods of time. Organic chemists and pharmacologists began to ask themselves whether they could modify the molecule so that it would retain its benefits but wouldn’t produce adverse gastric effects. In 1852, a French chemist named Charles Gerhardt, attempted to modify salicylic acid by introducing an acetyl group in place of the hydroxyl producing acetylsalicylic acid. He was successful, but found the resulting product very unstable and difficult to work with, so he put the project aside and didn’t pursue it any further. Nevertheless, that wasn’t the end of the matter. investigation Bayer also began to examine other coal tar derivatives from their dye making program and observed that some of them, such as acetanilide, had clear antipyretic activity.The story goes that the antipyretic effects of acetanilide were first observed when it was given to a patient with a fever by mistake. Bayer marketed acetanilide under the name Antifebrin, the first synthetic antipyretic drug. Nevertheless, all of these substances still produced gastric problems and so the hunt for the ideal drug continued. Eventually, Bayer discovered drugs such as phenacetin and its metabolite acetaminophen , which were easier on the stomach. Indeed, phenacetin was one of the burgeoning pharmaceutical industry’s first major successes. Encouraged by all of this, Bayer went on the hunt for further useful drugs for treating fever, pain and inflammation. They set up a program for synthesizing a large number of novel chemical substances and testing them, really an early example of the way drug companies still operate today. An idea that the Bayer scientists had at the time was to revisit the possibility of improving salicylic acid. One of the companies young chemists named Felix Hoffman synthesized acetylsalicylic acid but, unlike Gerhardt, found it to be quite stable. He even tasted it and reported that it tasted “sour” and didn’t seem very “corrosive”. Acetylsalicylic acid then proceeded to the next stage of development and was found to be very effective in a wide variety of tests. However, Hoffman’s two bosses disagreed as to what to do next. 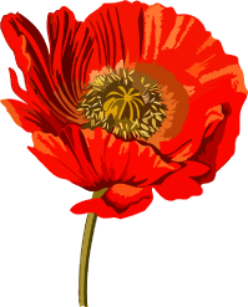 One of them, Arthur Eichengruen, was extremely enthusiastic and wanted to push ahead as quickly as possible but another of his superiors, Heinrich Dreser, the head of pharmacology, thought that acetylsalicylic acid might produce heart problems and decided that it should be discarded. Eichengruen refused to believe this and spirited a quantity of the new drug out of the company and distributed it to doctors and dentists around the Berlin area. The results were terrific. The doctors and dentists generally sent back glowing reports that acetylsalicylic acid not only reduced fevers but was also a generally effective pain killer. These results left everybody at Bayer, including Dreser, in no doubt that they had produced a promising new drug that should go into production. 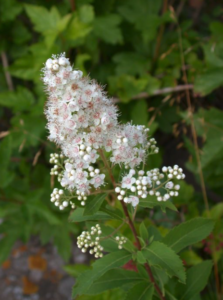 As far as the name was concerned they noted that one of the original sources of salicylic acid, in addition to the willow, was the meadowsweet plant, whose Latin name was Spiraea. So taking the core of that name and adding an “a” on to the front to indicate acetylation one gets “aspir”.An “-in” was then added to make it roll off the tongue more easily and so the name became “aspirin”. At the time aspirin was first produced, Heinrich Dreser was somewhat preoccupied with another of Hoffman’s acetylation products. He had synthesized diacetyl morphine, which appeared to be a non-addictive form of morphine and which the company named heroin. Bayer were delighted with all of this and marketed their two new acetylation products together in 1898. It seemed as if aspirin had removed the problems associated with salicylic acid and was marketed as a new antipyretic and analgesic drug that was easy to take and easy on the stomach and it seemed that heroin had removed the problems associated with morphine and was marketed as a non- addictive opiate. Well, at least one of these big claims turned out to be correct! Following its general release aspirin caught on with the public in a big way and within a few years became one of the most successful drugs in human history. That is reasonable enough because aspirin is certainly an extremely effective and useful drug. Today, Americans consume some 80 million doses daily for its anti-inflammatory, anti-pyretic, and analgesic properties. Aspirin relieves gout, rheumatoid arthritis, and numerous other painful inflammatory conditions. Of course, all of this begs the question as to exactly how it produces its miraculous effects? Indeed, the answer to this question was slow to come. It wasn’t until the 1950s that we had even a glimmer of an understanding of how aspirin produces its effects. Scientists at Bayer had always assumed that the effects of aspirin were produced by actions on the central nervous system. However, this supposition had never really been tested. In 1958 a British scientist named Harry Collier performed an experiment in which he injected guinea pigs with the cytokine bradykinin which produced contraction of their lungs. This effect could also be observed if all connections between the lungs and the brain had been severed. However, if Collier first administered aspirin to the animals, the effects of bradykinin were no longer observed. This meant that these particular effects of aspirin must be produced locally and not through effects on the brain. But what could these local actions of aspirin involve? Collier had a student named Priscilla Piper who wanted to pursue this question further. She decided she would go and work with John Vane at the Royal College of Surgeons. Vane was an expert in detecting biologically active chemical mediators. In order to achieve this he had devised a clever experimental technique. He would take something like a guinea pig lung that was placed into an experimental perfusion chamber. Next he would challenge the lung with something that would make it contract. For example, if the lung was from a guinea pig that was sensitive to a particular substance (antigen), administration of that substance would produce violent contractions typical of anaphylactic shock and the lung would release a whole witches brew of powerful chemicals. What Vane would do was to allow the fluid perfusing the activated lung to drip onto several other chambers containing muscle preparations from other animals that might then react to the different components released by the lung. By observing these activities and testing out the effects of drugs Vane was able to identify them and also discover drugs that might modify their effects. When Vane and Piper performed this experiment they observed one activity that they couldn’t account for. It was a mediator that made the aorta of a rabbit contract. The key observation that they then made was that if the guinea pig lung was first treated with aspirin then the activity that caused the rabbit aorta to contract disappeared. Further studies carried out by Vane and his colleagues elucidated the complete mechanism of aspirin’s effects. When the lung tissue was activated it produced a lipid called arachidonic acid. This is one of the most important biochemical precursors for producing active biological mediators and it can be metabolized to produce many different active substances. For example, arachidonic acid can be metabolized by an enzyme called cyclooxygenase to produce molecules known as prostaglandins. Prostaglandins can act on receptors expressed by an enormous number of tissues to produce numerous important biological effects. As it turns out aspirin is a highly effective inhibitor of cyclooxygenase (COX). Prostaglandins are involved in the regulation of body temperature through actions in the hypothalamus of the brain, the regulation of pain through actions on pain producing nerves and the regulation of inflammation through actions on white blood cells. So, if the production of prostaglandins is inhibited then these effects do not occur and this explains the effects originally associated with aspirin. As things turned out, there were still other useful effects of aspirin to be discovered. For example, when arachidonic acid is metabolized by COX it also produces substances called thromboxanes. Thromboxanes are important mediators of blood clotting. If the production of thromboxanes is inhibited then the blood doesn’t clot normally. This is why patients taking aspirin often bleed more easily. In some cases this action could be very useful. Low doses of aspirin taken daily cause long term inhibition of COX and thromboxane synthesis preventing the formation of blood clots and helping to reduce the occurrence of strokes in susceptible individuals. John Vane was awarded the Nobel Prize for his role in determining the mechanism of action of aspirin. Indeed, there is an entire class of drugs known as Non-Steroidal Anti Inflammatory Drugs (NSAIDS), including widely used drugs like ibuprofen and naproxen, which work in the same way as aspirin. These findings are some of the most significant in the history of medicine. These days drug discovery is a highly organized endeavor. New chemical techniques allow for production of millions of new molecules at a time which can then be screened to detect new lead compounds that might eventually lead to the discovery of novel drugs. This kind of operation is routinely undertaken by gigantic pharmaceutical companies and indeed the science behind these things is quite awesome. However, the planet Earth is very old and life of one sort or another has been evolving on it for billions of years. This has been quite long enough for an incredible number of natural products to be produced in our environment. Many of these substances have evolved to have interesting effects when viewed in the context of human activity. The fact is that through observations of things that normally go on around us, such as the eating habits of cows, we may yet discover a wealth of treasures. Moreover, walking through the meadows on a sunny spring day with a notebook in your hand is not a bad way to spend one’s time. The naturalist may not get as much credit these days as rock star scientists. But just take the time to look around you and carefully observe what is going on in the real world and, who knows, a Nobel Prize may come your way as well.